I got a US Airways MasterCard just before the program disappeared, merged into the American Airlines AAdvantage program. Today, I activated the card–a card which theoretically earns miles in a defunct program. I’ve gotten a lot of tweets, emails, and messages from others who opened the card just recently and haven’t yet earned their 50,000 mile bonus. They’re all wondering how and if they’ll get their bonus. Yes, with 100% certainty, I could say that if you stood to get a 50,000 US Airways miles bonus from this card, you will get a 50,000 American Airlines miles bonus. How could I be so sure before doing any investigation? A credit card company that offered a 50,000 mile bonus and then didn’t give you one would open itself up to huge penalties from the Consumer Financial Protection Bureau. Now that I have the card, I did a little investigation. I called the number on the back and asked how my miles would be deposited into my US Airways account, since there are no US Airways accounts anymore. The first agent said she’d connect me to the rewards department to provide my American Airlines number, so that a new American Airlines number wasn’t created for me. She actually connected me directly to American Airlines AAdvantage customer support, so I hung up. I called back, and I told the next agent that my US Airways and American Airlines accounts are already linked. Did I need to do anything else to get my bonus miles into my American Airlines account once I’ve earned them? She said no. I said, “So you basically report my miles to US Airways, which automatically puts them in my American Airlines account.” She said yes. We’ll see. Ordinarily after my first purchase on a US Airways card, I’d get 50,000 bonus miles the day that my credit card statement closed. It will be interesting to see whether I get the miles in my American Airlines account at the same time, whether Barclaycard creates a new American Airlines account for those 50,000 miles, or whether there is a delay. I’m not sure how it will play out exactly, but I know I will eventually get 50,000 American Airlines miles as a bonus. 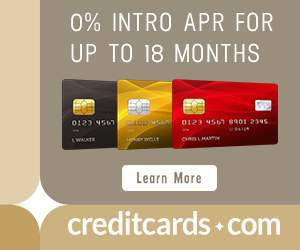 No credit card company reneges on its bonus offers. The business version, the CitiBusiness® / AAdvantage® Platinum Select® World MasterCard®, also comes with 50,000 bonus miles after spending $3,000 in the first three months. This card comes with 2x miles on select business purchases and a 5% miles bonus on renewal. One person can have both cards, which would be 106,000 American Airlines miles after meeting the minimum spending requirements. I got this card recently too. If I remember correctly, last time the miles posted on the close of my first statement like you mentioned. This time I think they’ve changed the language and it says miles will post after annual fee has been paid so miles didn’t credit until my second statement had posted. Might be worth it to pay the AF before the first statement closes to get miles sooner. I got the same reply from Barclay. The miles will post after the second statement. Gaurav – That’s exactly what you should do. Pay your annual fee in advance and when the first statement closes, the miles will post. What about for those that don’t have an AAdvantage account? I figure I should just wait until the miles post before calling American… Do you think Barclays will create an account for me automatically? I sent them a SM and they did tell me my Dividend Miles number. Yes, I think they’ll create one for you automatically. I recently got the card before they pulled the US Airways applications. I made sure to pay my AF before my 1st statement closed. My statement closed on April 5, 2015 and it was automatically inputted into my AA account as of April 7. So they definitely will give you the points automatically into your AA account. Both of my accounts was linked as well. 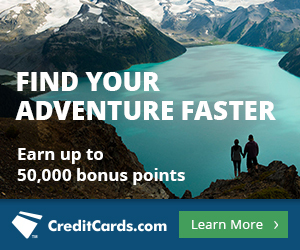 Anyone gotten their 15K bonus miles yet from their “$750/mo for 3 mo” promo? Hope those miles make it into our AA accounts without too many phone calls! How does the 10% mile redemption bonus capped at 10,000 miles per year work? Is it per annual fee year or per calendar year? Also, if I have both Citi AA card and Barclays US Airways card where both of them have the 10% rebate benefit, then does that increase my annual bonus cap to 20,000 miles on available AA rebates? Calendar year. You’ll only get it once.